been fitted at this time. the Swell by the Vicar. removing the “bells” from the Flute Pavillon, and “bearding” the Gamba. chancel to its current position in the NW corner of the church. Clarion 4′ added to the Swell. 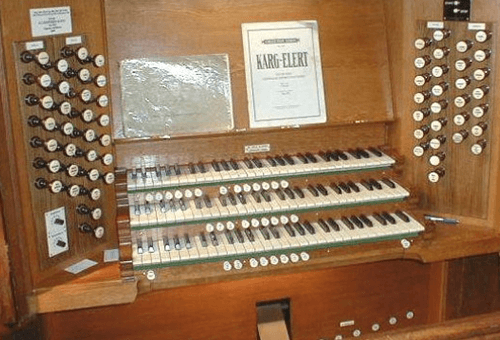 on the Choir at 8′, and a Bombardon 16′ (by Gern) was added to the Pedal. 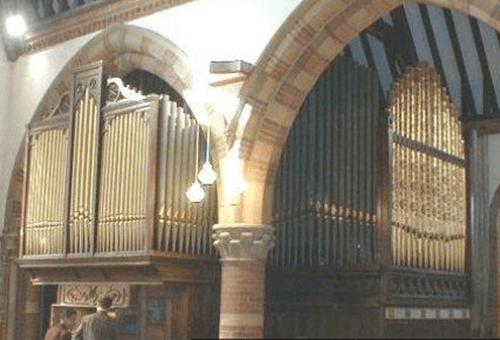 survive from the original Elliot organ of 1809. Swell to Great, Swell to Choir, Swell octave, Choir octave, Choir sub-octave.